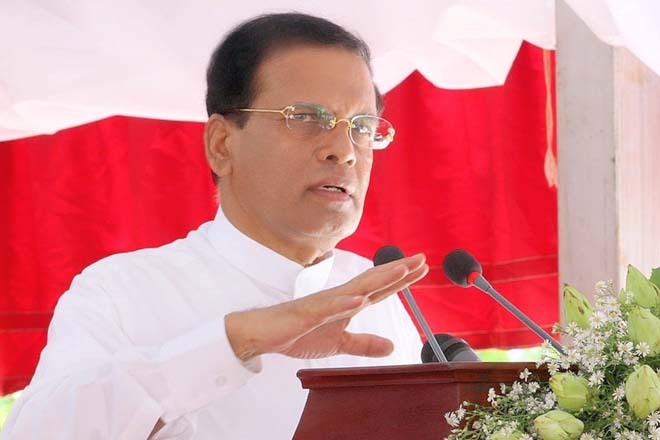 Aug 13, 2015 (LBO) – President Maithripala Sirisena has reiterated that the former President Mahinda Rajapaksa would not become the Prime Minister of Sri Lanka. President Sirisena as the Chairman of the Sri Lanka Freedom Party, in a five page letter with strong words to ex-President has requested Mahinda Rajapaksa to allow someone else of the SLFP to become the PM. The President has proposed Rajapaksa to show his support to let Nimal, John, Chamal, Athauda, Fowzie, Susil or Anura Yapa to be the Prime Minister if UPFA wins. President has also dropped a bomb by saying that Basil Rajapaksa had earlier tried hard to remove him from politics. The long time political friendship between the two of us was affected by the unsuitable actions of Basil Rajapaksa, President Sirisena said. “People currently flocking around you secretly searching ministerial portfolios through me saying they are fully prepared to work with me.” President Sirisena added.